Anh Vu Vo comes to CUSP as a full-time Assistant Research Scientist. He assists in the creation and implementation of novel technologies and algorithms related to the capture, storage, processing, visualizing, and validating of remote sensing data and its spatio-temporal integration with other data types. Vu has an extensive background in spatial data storage and processing strategies for aerial laser scanning. 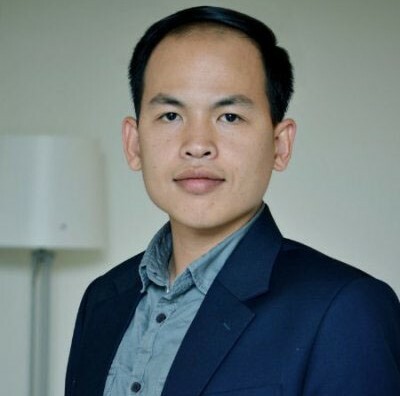 Prior to joining CUSP, Vu worked as a part-time structural engineer in Vietnam, a lecturer at the University of Architecture in Ho Chi Minh City and as a visiting scholar at Delft University of Technology in the Netherlands. He has a Bachelors degree in Civil Engineering from Ho Chi Minh City University of Architecture and a Masters degree in Engineering Structures from the University of Melbourne, Australia. He completed his PhD studies in Civil Engineering at the University College Dublin and expects his PhD to be conferred in 2017. Vu is the recipient of numerous honors and awards including First Prize in the 2015 IEEE GRSS Data Fusion Contest and the Australian Government’s Endeavor Postgraduate Award for Postgraduate study.